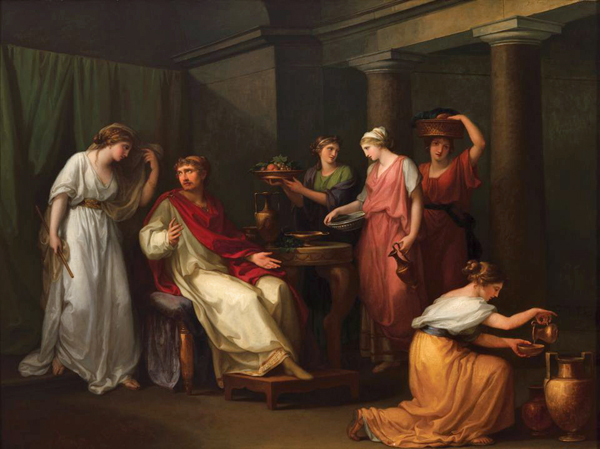 Angelika Kauffmann, Ulysses on the Island of Circe (1793). Courtesy of the Barrett Collection © Kevin Tedora. We look back at ten significant gifts and purchases that entered public collections in 2018. Major museum acquisitions are often hailed as “transformative”, and this rang especially true for several institutions in 2018. Donations of more than 1,300 works apiece will turn the Institut du Monde Arabe in Paris and Vienna’s Albertina into centres for contemporary art. The Albertina and the University of Texas are creating new spaces to house collectors’ gifts, while almost 11,000 works from the defunct Corcoran Art Gallery in Washington, DC, have found permanent new homes. And the Baltimore Museum of Art controversially used deaccessioning as a force for change, putting the proceeds from the sale of blue-chip works towards more diverse purchases. Here, we look back at some of the most significant acquisitions of the year. Swiss art collection, University of Texas at Dallas: The US collectors Richard and Luba Barrett promised the most significant collection of Swiss art ever assembled outside Switzerland to the University of Texas at Dallas. With more than 400 works made between the 14th and 21st centuries by artists including Angelika Kauffmann and Félix Vallotton, the university’s first art collection will be held by the Edith O’Donnell Institute of Art History. A foundation to be established after Richard Barrett’s death will fund future acquisitions of post-war and contemporary Swiss art, and the university plans to open a museum to display the gift. Artemisia Gentileschi’s self-portrait, National Gallery, London: The Italian Baroque painter Artemisia Gentileschi has been experiencing a renaissance of late, as her depictions of strong women have resonated with the #MeToo era. London’s National Gallery paid a record £3.6m for the recently discovered Self-portrait as Saint Catherine of Alexandria (around 1615-17), mostly funded by its American Friends group. The work was sold by the London-based gallery Robilant + Voena, which bought it for €2.4m (with fees, against an estimate of €300,000-€400,000) at auction in Paris in December 2017. The painting is due to go on show at the National Gallery on 19 December after conservation. Gifts from Colección Patricia Phelps de Cisneros, Museum of Modern Art, New York: The Museum of Modern Art (MoMA) in New York bolstered its holdings of Latin American art early this year with a gift of 90 contemporary works from the Caracas- and New York-based Colección Patricia Phelps de Cisneros. This represents a “terrific cross-section” of the field, said the museum’s director Glenn Lowry, with works by 48 artists across media, from painting and drawing to video and performance. The MoMA acquisition was the biggest slice of the Cisneros Collection’s gift of around 200 works to six institutions in the US, Argentina and Spain.